Beautiful surroundings, very calm, close to nature. Very well equipped apartments. Lovely place. Lovely place with great apartments located on the canal, clean, tidy, helpful friendly staff, amazing restaurant, very recommended!!! Dolphin Cove has all the comforts of home, but is wonderfully upgraded. 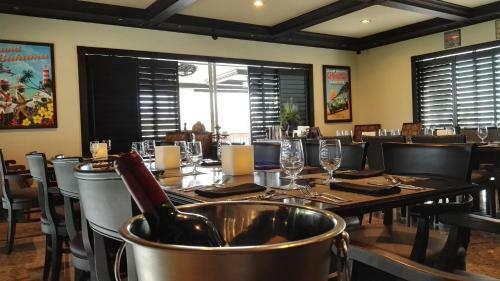 The onsight clubhouse restaurant has amazing food and is one of the very best dining experiences on Freeport. All of the staff -especially Pedro and Rochelle were super nice and accommodating. Loved the quiet location on the canal. The bed was mega comfy and the kitchen facilities were really good. The host was very pleasant and helpful. The property is very nice, clean and well equipped. I can only recommend the stay there. This is a wonderful place, very quiet and peaceful, very good service, all the time helping, the girl at the reception drove us to the market as we didn't have a car. It was a real pleasure to stay in this hotel. I recommend it. Everything with this property was perfect, Don was very friendly and welcoming, I will be back there in December, i will recommend this property to anyone traveling to freeport. Everything was even better than what we expected. At the arrival, both Ken (the owner) and Don have been very caring and helpful. Our room was fully equipped: there was a very tidy kitchen (which was very useful for such a long stay like ours), a living room with a comfortable sofa, wifi, tv, a walking closet and a big comfortable double bed. All the people working there were very kind, for my fiancé's birthday we had dinner at the restaurant and it was very good. To sum up, we really enjoyed our stay at Dolphin's Cove, probably the best place where to stay in Grand Bahama! For our week's stay we decided a car rental was necessary. There is a car available on the property to reserve, but not always available. We did use it for 2 days then rented from Brad's Car Rental at the Airport - excellent service, highly recommend! The property sits on a water canal system which supports island birds; there is a lovely restaurant next door; the pool and lounge chairs were perfect for our late afternoon R&R time! Lock in a great price for Dolphin Cove - rated 9.2 by recent guests. One of our bestsellers in Freeport! Dolphin Cove is a 36-apartment hotel with four different suite types to choose from.This adult only property offers two outdoor pools. on site fine dinning restaurant and a private marina. Suites at Dolphin Cove feature Cable Tv, speedy wifi, central air conditioning and a private terrace with marina views. All suites have a fully stocked kitchens with a microwave, refrigerator, iron, hair dryer and the deluxe units have in room washer and dryer. Housekeeping service is offered. Activities that can be enjoyed in the surroundings include windsurfing, diving and snorkeling. Ask at check in for additional tours and things to do. There is a full a kitchen with a microwave and a refrigerator. Private bathrooms also come with a shower. You can enjoy a marina view from the terraces. Guests will be able to find restaurants and bars near Lucayan Beach, 1.2 miles away. The property offers free parking. Port Lucaya Market Place and a casino are located 5 minutes’ drive away. 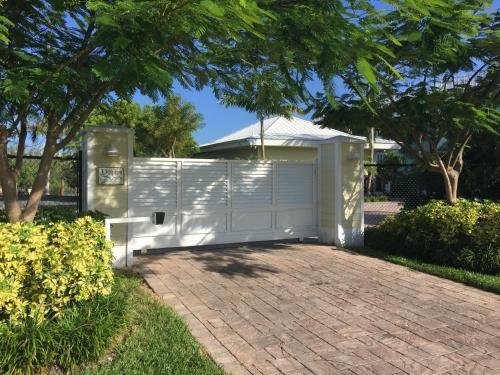 This property is also rated for the best value in Freeport! Guests are getting more for their money when compared to other properties in this city. Dolphin Cove has been welcoming Booking.com guests since 5 Nov 2013. When would you like to stay at Dolphin Cove? Air-conditioned apartment that features a terrace with views of the marina, seating area with a sofa, cable TV, and a fully equipped kitchen and dining room. The bathroom features a shower. This air-conditioned apartment features a terrace, seating area and a cable TV. You will also find a fully equipped kitchen and dining room. The bathroom features a shower. Air conditioned apartment with a small terrace overlooking the canal. A king size bed in the bedroom with private bathroom. The living area features a sitting area with kitchen and dining island. House rules Dolphin Cove takes special requests - add in the next step! Dolphin Cove accepts these cards and reserves the right to temporarily hold an amount prior to arrival. Check out is 10:00 am however late check out may be requested the day prior to check out. There will be a late check out fee and approval is subject to availability. Please note that Dolphin Cove is an adult only property, and does not accommodate children. Please note that one member of the party must be at least 25 years old and present identification upon check in and be in possession of a valid credit card, debit card or cash not accepted. Please inform Dolphin Cove in advance of your expected arrival time. You can use the Special Requests box when booking, or contact the property directly with the contact details provided in your confirmation. If you plan to use the beautiful kitchen, bring spices, sugar, etc. However, if you are lacking anything, just ask the manager and they are more than happy to help! I would be happy to have breakfasts. Own car or rental car is essential. Restaurant had very limited and odd opening hours. Actually restaurant was non existing. Very pleasant stay, great comfort. Nice surrounding. It was too far away from everything. There was no shade at the pool at all. No comment here. We really enjoyed our stay. The place was not guess friendly, but Pedro the check in person in the office was not customer friendly. The Dolphin Cove is away from restaurants and the beach is 20 minutes walk. If you are coming from another country you need to have a rental car because there are no guess services, no phones in the rooms if things go wrong or emergency occurs. Pedro the guy in the office who usually checks guests in was not accommodating and very rude. He had no empathy and I was very disappointed, because this was our first time on the Island and booking recommended this place (4 star) but I would give it a 1 star for their service. They do have a dinner menu from 6-10 pm but the prices are very pricey. Would not recommend this place especially if you are not a native to the Island because of the terrible customer service. You will need a car as it's a bit too far from town. WiFi was spotty or didn't work at all at times.